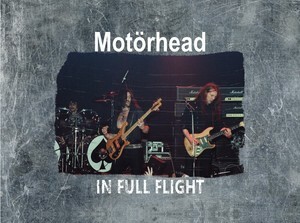 Motörhead In Full Flight is a deluxe 128-page hardcase book complete with a set of prints encased in a metal flight case. 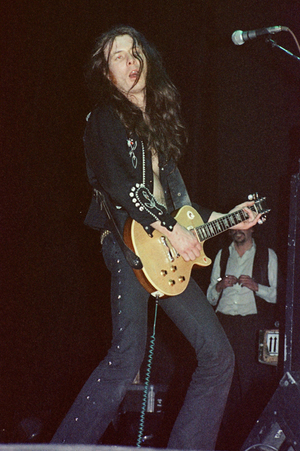 This predominantly photographic book of largely unpublished, never before seen images brings together a mixture of concert photos and off stage shots from the late 70s through to the early 90s, covering the classic line-up with Phil Taylor and Eddie Clarke through to the four-man line-up with Phil Campbell, Würzel and Pete Gill and the return of Phil Taylor. 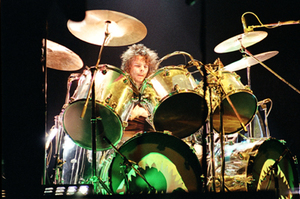 The never before seen images include shots from recording sessions and video shoots plus back stage at the tenth anniversary gig at Hammersmith, June 1985. 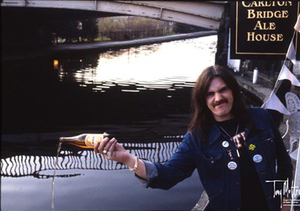 There are even some hilarious photos of Lemmy during a beer tasting session and many more of the band's legendary frontman as you have never seen him before! 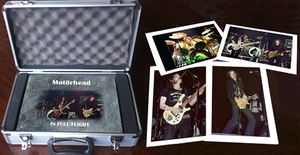 Included are four prints ideal for framing, one band shot and one each of Lemmy, Phil Taylor and Eddie Clarke. 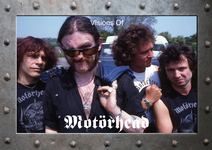 This strictly limited edition hardback is bound to sell quickly and become a future collector's item, making it an essential addition to any self-respecting fan's Motörhead collection. EDITORIAL CONTROL: This book requires total independent editorial control. 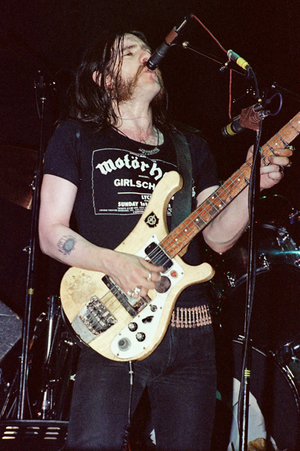 It has not been authorised or approved by Motorhead or their management.